Laura graduated from the University of East Anglia with a degree in Law and joined Griffin Law in 2012. 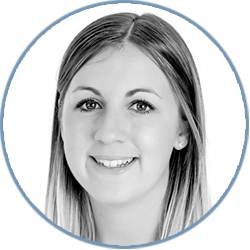 Laura qualified as a solicitor with the firm in 2014 and was promoted to an associate in 2018. As well as commercial litigation she mainly focuses on trust disputes and matrimonial matters. In her six years of practice, Laura has helped clients in a range of other matters including defamation and harassment claims, contract disputes and tax appeals. Laura also maintains involvement in due diligence and money laundering issues. In her spare time, Laura enjoys travelling, diving with great white sharks and is always looking for the next adrenaline challenge!